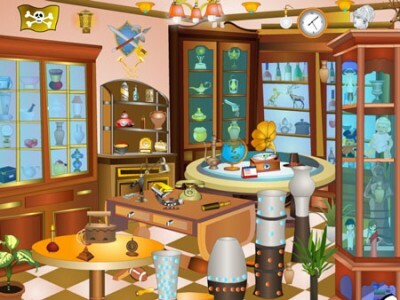 Antique Shop is colorful online finding game by G2G. Full to the brim with goods inside the antique shop. The number of these items is quite much. However, some of these items missing. Because these items are very valuable. But we need to find these items. Both immediately. Sadly our time limited. We know these things. And it will facilitate our work. Good luck and have fun.